Another busy season of sports at UNB has come to a close and once again there was no shortage of great action and storylines worth following. Here are five Reds student-athletes who captivated us with their play this year while being major contributors towards their team’s success. 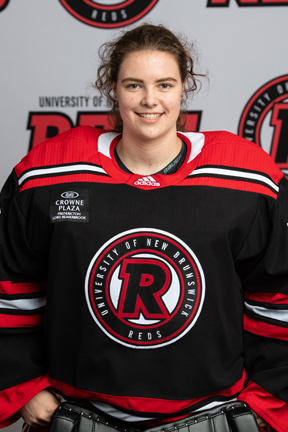 Of all of the great stories to come out of the return of the Reds women’s hockey team this year, Kendra Woodland’s emergence as one of the best players in the AUS in her rookie season has to be near the top of the list. The Kamloops, BC, native quickly established herself as the backbone of her team during the Reds’ impressive run to a fourth place finish in their conference, while finishing the season ranked first among all goaltenders in the AUS with a .945 save percentage. She was rewarded for her stellar play by being named AUS women’s hockey Rookie of the Year. 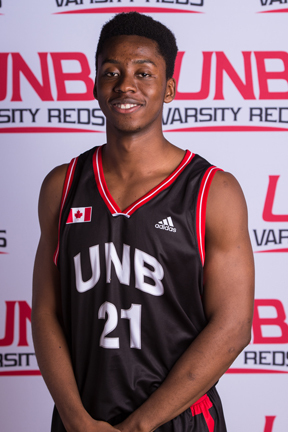 Ibrahima Doumbouya enjoyed a breakout season in his second year at UNB. The forward from Calgary, AB, established himself as a key presence for his team at both ends of the court, finishing the season leading the AUS conference in total rebounds and ranked sixth in total points scored. For his efforts leading the Reds to a second place finish in the regular season standings, Doumbouya was nominated to the conference’s all-star team. 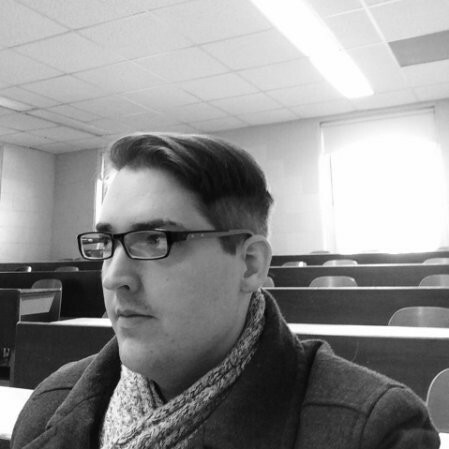 In what could be his final season at UNB, Chris Clapperton put up his most impressive season yet of what had already been an illustrious career at the U Sports level, notching 14 goals and 33 assists to lead the AUS in total points. His 47 regular season points also placed him second in the country behind only Ryerson’s Matt Mistele, who had 50 points. 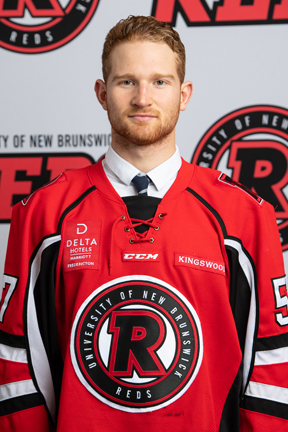 The veteran Reds star from Cap d'Espoir, QC, was named AUS Most Valuable Player and will almost certainly have options to continue his hockey career at the professional level once he is done at UNB. 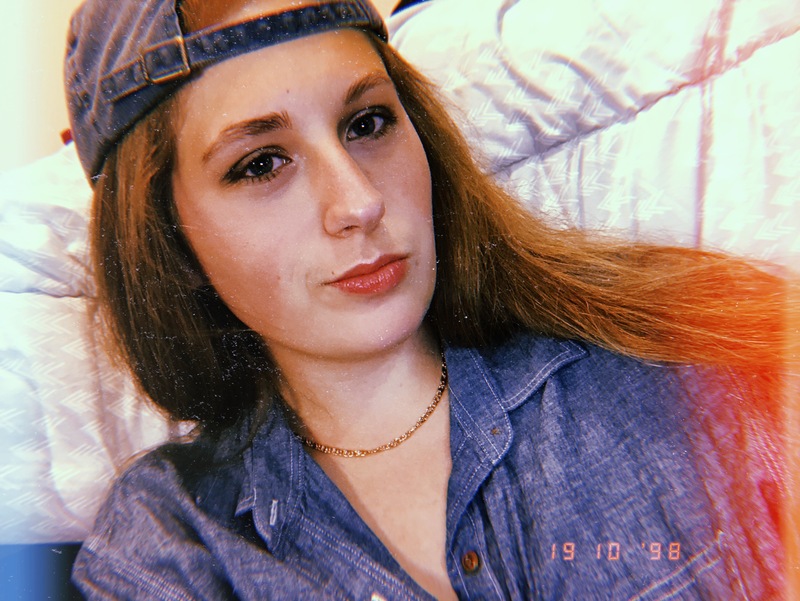 The Reds women’s volleyball team had an incredible bounceback season after going winless in 2017-18, and Siobhan Fitzpatrick was one of the major reasons why. 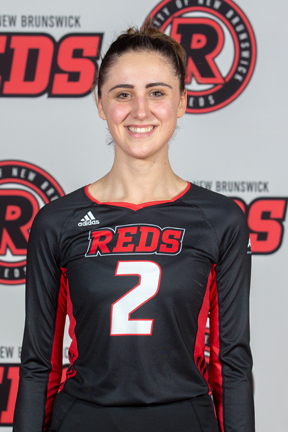 Although this was her fifth and final year of eligibility at the U Sports level, it was her first year at UNB after the Kelowna, BC native transferred from UBC Okanagan where she played her first four seasons. Fitzpatrick played a key role in the Reds attack while leading the AUS with an impressive 3.44 kills-per-set. 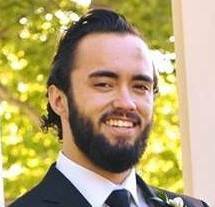 Dan Walker was the top striker on the 3rd-ranked Reds team this season, notching six goals and six assists in 12 regular season games. His importance to his team may have been most evident during the post-season however, where he was a major force in the Reds’ run to the conference finals. 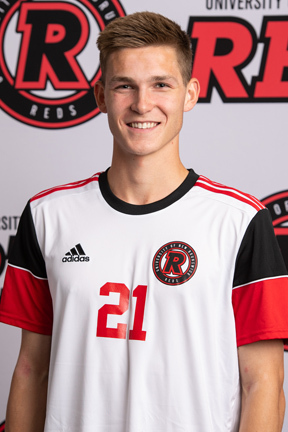 Walker scored the game-winning goal in their quarter final matchup against the University of Moncton while also helping to lead his team’s attack against St.FX in the semis. 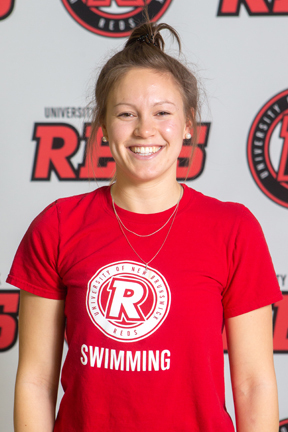 Leah Smal put on an incredible show at the February AUS swimming championships in Halifax, sweeping the three women’s backstroke events while also taking home a silver medal in the 50 metre freestyle event, even setting UNB record times while threatening AUS records. 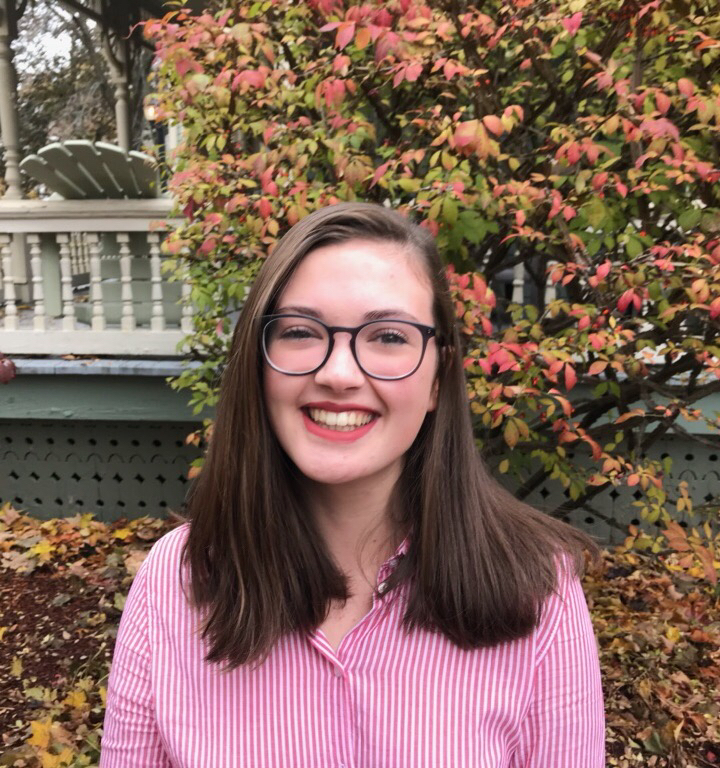 Smal then followed her AUS championships by representing UNB at nationals where she placed 6th in the 100 metre backstroke, 7th in the 50 metre backstroke and 8th in the 200 metre backstroke. For her efforts, Smal was named UNB’s female athlete of the month for February.